The new product catalogue for 2019 is now available to download. It includes the latest Meade and Coronado products. Please download it from the link below. 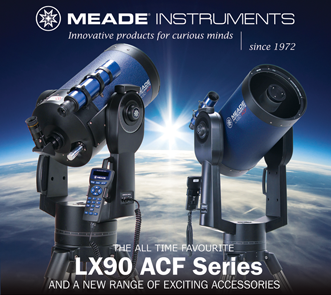 Opticstar is official importer of Meade Instruments in the United Kingdom. Eyepieces are the most popular telescope accessories. They are used to adjust the magnification of the telescope, trading off magnification with field of view. 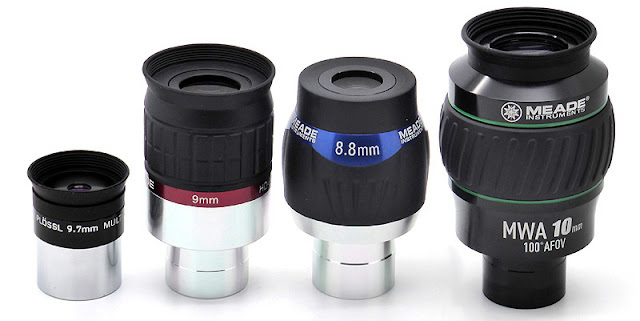 Meade’s eyepieces have an excellent reputation for value and performance. Meade eyepieces. From left to right: Plössl, HD-60, Ultra Wide Angle (UWA) and Mega Wide Angle (MWA). 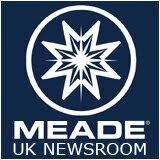 Meade’s range of eyepieces include the Series 4000 Super Plössl and the Series 5000 HD-60, Ultra Wide Angle (UWA) and Mega Wide Angle (MWA) eyepieces. They all perform very well but each series has its distinct advantages. These Super Plössl eyepieces feature multi-coated optical coatings offering sharp views and high contrast. They are available at many focal lengths from 6.4mm up to 56mm. Their apparent field of view (AFoV) is 52°. These dependable eyepieces are a great starting point for newcomers to astronomy. The HD-60 series of eyepieces are fully-multi-coated with a 60° apparent field of view. They achieve sharp views across the whole field of view due to their optical design and exotic glass used. They also provide 19mm eye relief for comfortable observation. Overall HD-60 eyepieces are optically 40% better than Super Plössl eyepieces. The focal lengths range from 4.5mm to 25mm. The Ultra Wide Angle (UWA) eyepieces have an 82° apparent field of view while maintaining sharp, high resolution views across the entire field of view. These fully multi-coated premium eyepieces offer good eye-relief and are available at focal lengths from 5.5mm to 20mm. These 100° apparent field of view Mega Wide Angle (MWA) eyepieces are Meade’s widest-angle eyepieces. They offer excellent views across the whole field of view due to their advanced optical design and optical coatings. These eyepieces offer the ultimate experience to the visual observer. Coronado CEMAX eyepieces and barlow lens. CEMAX eyepieces are specifically designed for use at H-alpha (Ha) wavelengths. Their optical coatings are optimised to enhance contrast and minimise glare. They are available at the following focal lengths: 12mm, 18mm and 25mm. All models feature generous 20mm eye relief and 52° apparent field of view. Safety note: Coronado CEMAX eyepieces and barlows are not filters in any way, and for Solar observing must be used in conjunction with an appropriate Coronado Hα Solar Telescope or telescope with a Coronado filter set appropriately and safely mounted. 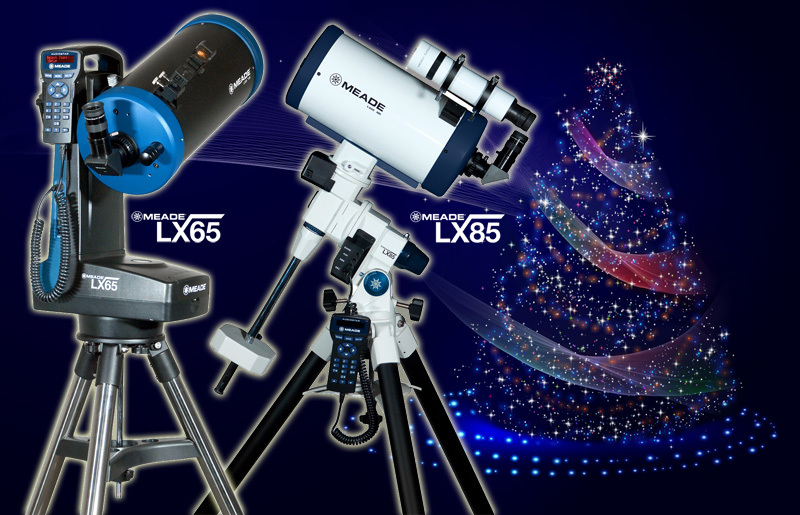 Christmas is almost here and so are the new LX65 and LX85 telescopes from Meade! The Maksutov, Newtonian and refracting models arrive in the UK this week. 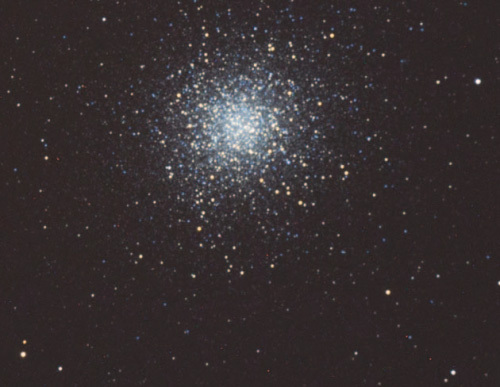 Find out more about these two new telescope series from Meade from the links below. What is more important? Premium optics or ease of use? Now you can have both! The up and coming LX65 telescope series from Meade is packed with more features than any other telescope in its class. It is lightweight, portable and accessible at a moment’s notice. Yet, it is sturdy enough to support two optical tubes at once thanks to its innovative design. 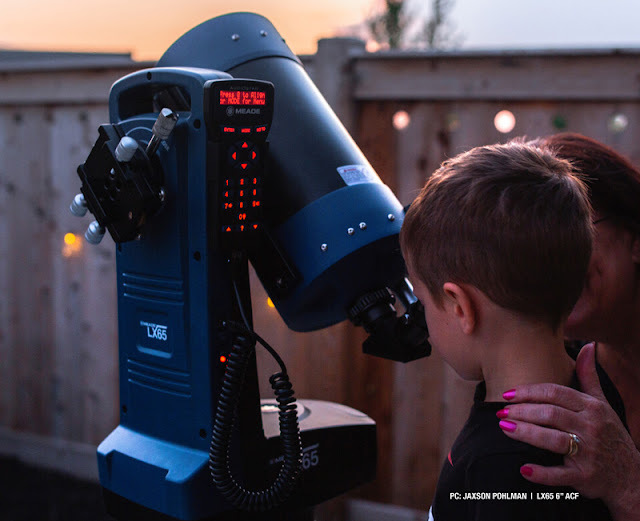 The LX65 is the perfect telescope for aspiring newcomers to astronomy and for seasoned astronomers who appreciate its ease of use and portability. The LX65 ACF (advanced coma-free) optics are available in 6” and 8” aperture sizes, accomplishing the best all-round performance for planetary and deep-sky observation. 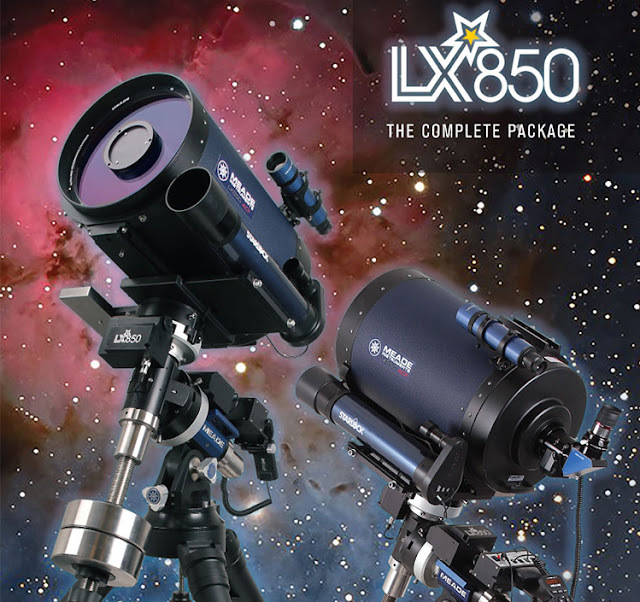 However, amateur astronomers dedicated to planetary astronomy will also be interested in the LX65’s alternative models; 5” and 6” Maksutov-Cassegrain optical tubes. All models are optically coated with Meade’s UHTC (Ultra High Transmission Coatings) for enhanced light transmission. The LX65 optics are sharp, bright and uncompromising. The innovative single arm fork mount has the ability to hold two optical tubes at once! 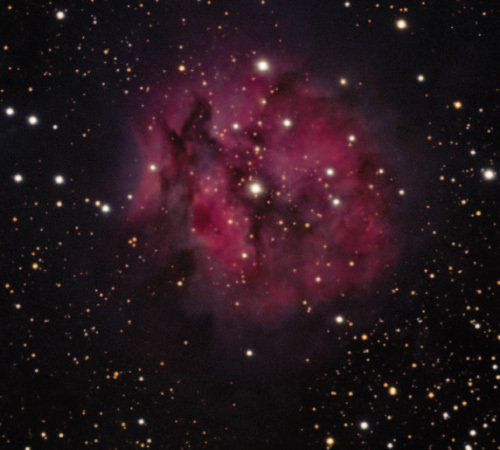 Simply add a secondary short focal length optical tube to browse the sky and locate objects of interest quickly. 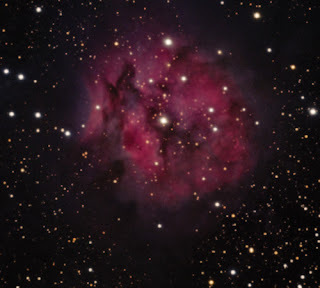 Yet, simultaneously observe those objects in detail through the primary ACF or Maksutov optical tube. 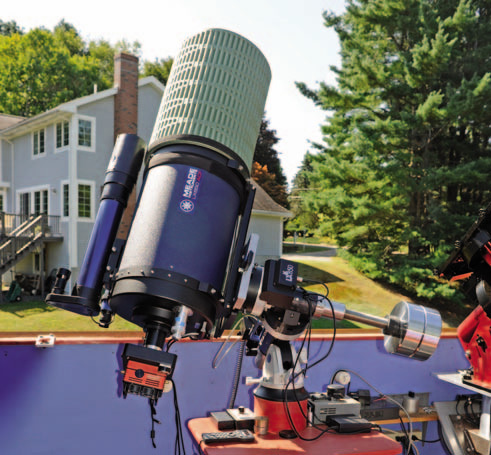 The telescope is controlled through its AudioStar handbox controller. Its database contains over 30,000 objects to observe at a push of a button. The Astronomer Inside feature, will take you on guided tours of the sky with full speech. Star aligning the telescope with the AudioStar is a simple 2-star procedure and you will be observing the night sky in just a couple of minutes! The LX65 is sturdy enough to be used for planetary and lunar photography. 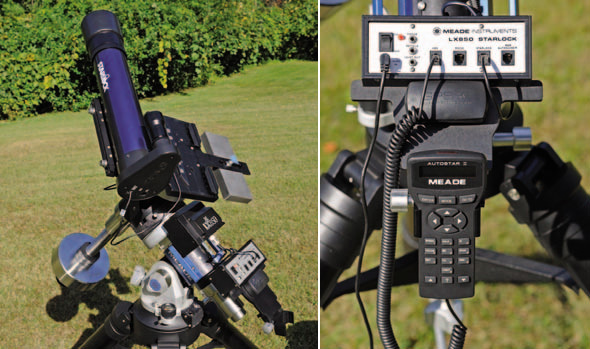 Simply attach your Meade LPI-G camera at the back (replacing the eyepiece), connect the camera to your computer’s USB port and start capturing images and video. 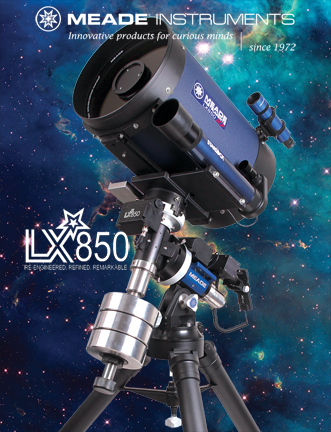 The LX65 is ideal for visual observation as well as the gateway to astrophotography. The LX65 series will be released later this year and are expected to be available in the United Kingdom in January 2019. 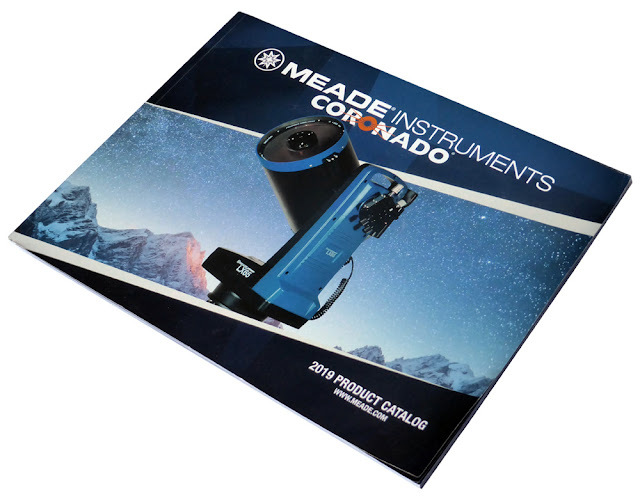 Meade Instruments has announced four new Coronado solar telescopes in the latest SolarMax III series. The new models are fitted with full aperture 90mm external etalon filters, surpassing the performance of solar telescope designs that use smaller internal H-α etalons. All models are bundled with a full range of CEMAX eyepieces and barlow lens as standard. A hard carry case is also included. To retrofit single etalon models to a double stack configuration please use the Coronado 90mm Double Stacking Etalon (SKU: SME-90). The larger, full aperture etalon filters ensure that solar views have better contrast and more detail. 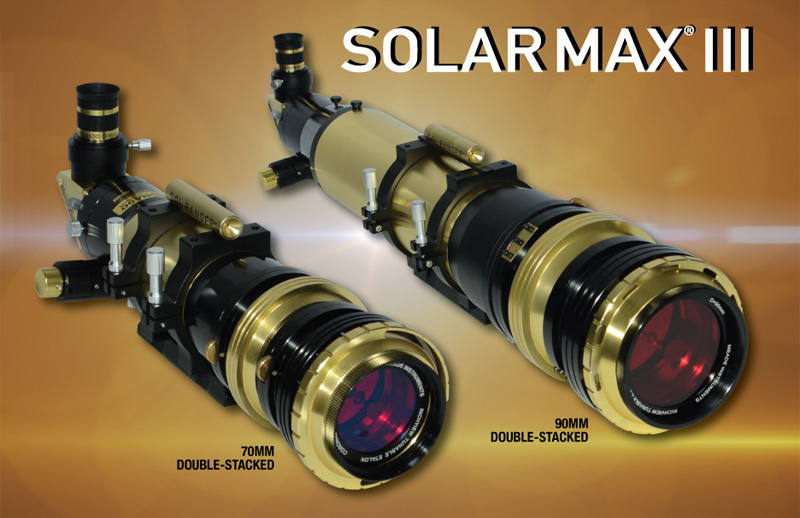 Other improvements of the SolarMax III 90 include a 2” dual speed focuser with fine control. 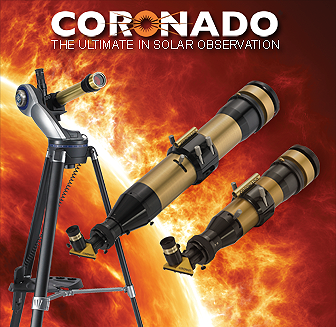 The Coronado SolarMax III range represents the cutting-edge in solar observation and imaging. The SolarMax III 90 etalon(s) and rear blocking diagonal filter can be removed to use the scope as a standard refractor for night time astronomy. Safety: The SolarMax III solar telescopes should never be used to observe the Sun without the etalon filter(s) and blocking filter (diagonal) fitted. Otherwise, immediate and irreversible eye damage may result. These solar telescopes will be released later this summer and are expected to be available in the United Kingdom in autumn 2018. 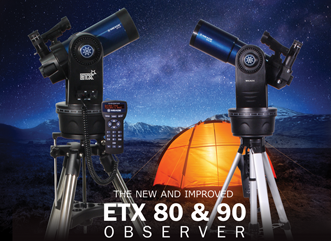 The ETX Observer telescopes are lightweight and portable, making them ideal for astronomy on the move and newcomers to the hobby. This tutorial video demonstrates how to set up and star align these telescopes. For more information on the ETX Observer please follow the link below.